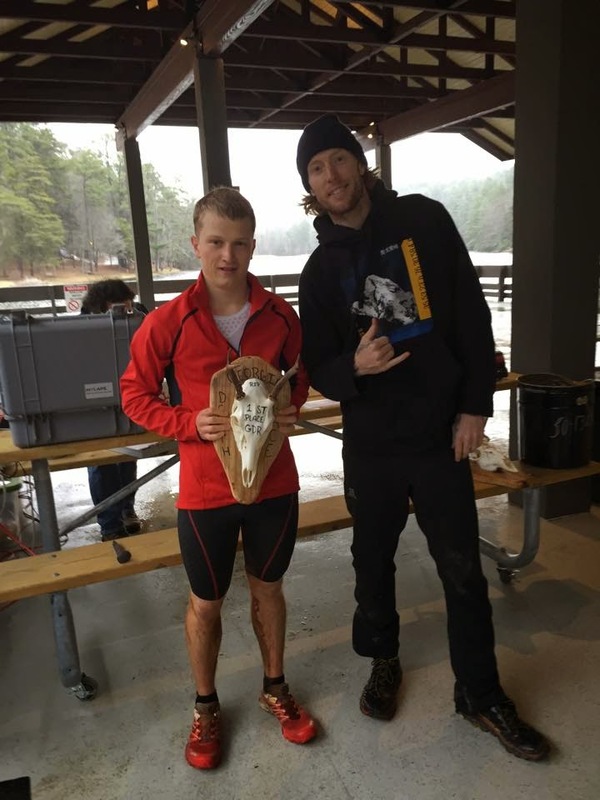 A few days before the race was to be run, the point to point course that the Georgia Death Race follows was reversed. 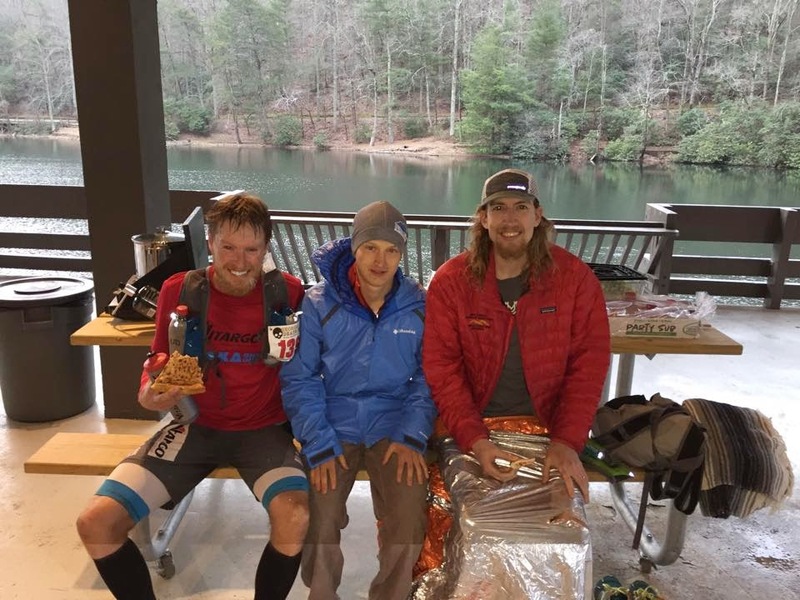 When I got to Georgia, I learned that there were some issues with the local hiking group not wanting any runners on the trails and that reversing the course had been the only compromise to ensure that the race would be run on most of the original trails. Obviously there was some complicated details working around this issue and the race director, Sean "Run Bum" Blanton did a great job working with everyone and making the race come off. Run Bum was able to get most of the original trails on the course, and backed up the start so that a new shuttle could pick up runners at Vogel State Park and bring them to Amicalola Falls State Park. A big thanks to Run Bum for all his hard work to make the race happen! For me and my buddy Cary Stephens, who headed out to the Death Race with me, the changes were not a big deal as we were staying 40 minutes away from the new start. I actually liked the changes because they backed up a 6am start to 8am which meant more sleep. Being from the west coast, the morning still felt early but I'm sure glad it wasn't 2 hours earlier. 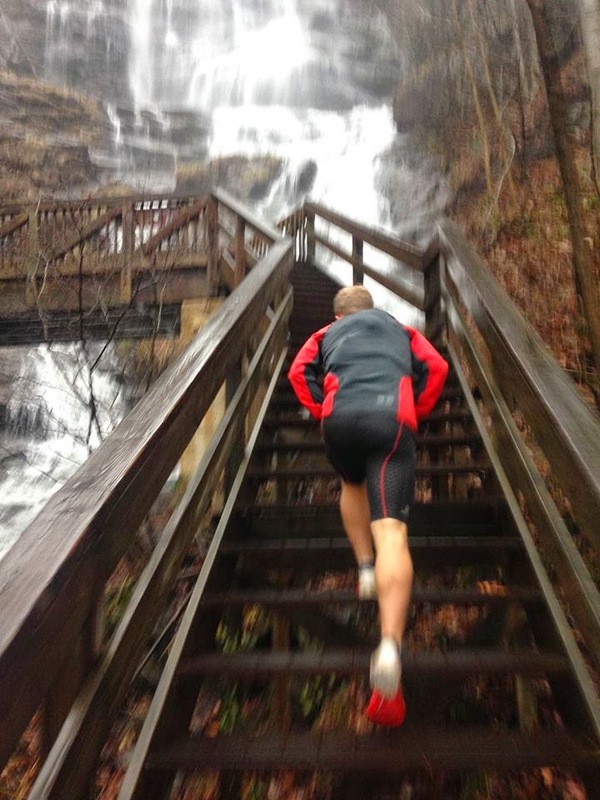 Anyhow, race morning was stress free and I was soon climbing up next to the highest falls in Georgia. The course headed back down a rocky road to the start then up a short section of paved road, out of the Amicalola Falls State Park and onto some back roads that took us to Nimblewill Gap and Jake Bull aid stations. I was in the lead for the first 4 or 5 miles then this dude form Florida passed me and kept cruising up the road. One other guy passed me as we climbed to mile 8 and a few others started to catch up. We crested the hill, and I started rolling down the back side of the hill moving into second and keeping the Floridian, David Kilgore, in sight. We headed downhill for 5-6 miles then we hit a couple flat miles and David was gone. I wouldn't see him for a while. 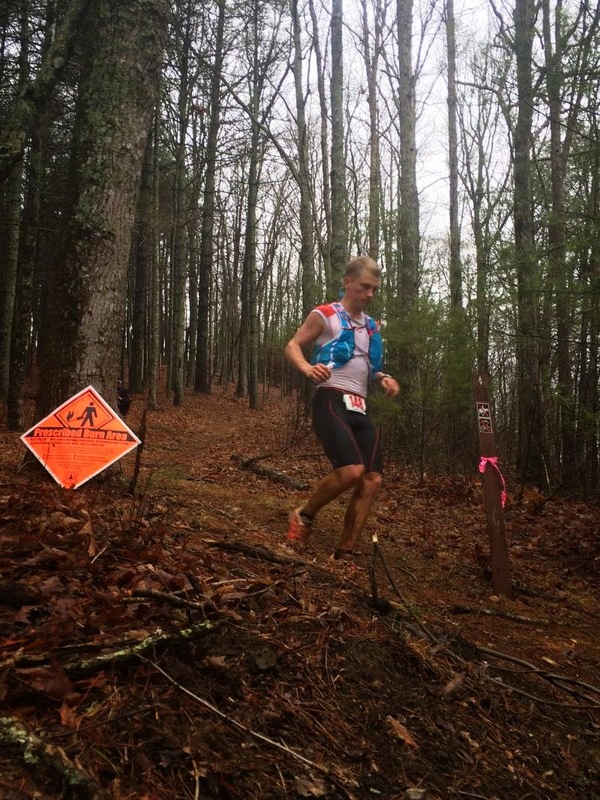 After Jake Bull, there is a six mile climb up a muddy road. I ran this section with Michael Owen (the guy behind me in the picture) close by and a bunch of bikes sharing the road with us. I felt good at this point so I ran up the climb trying to give a solid effort without working too hard. I got a chance to talk with some of the bikers and they were all pretty impressed that we were running a 68 mile race. 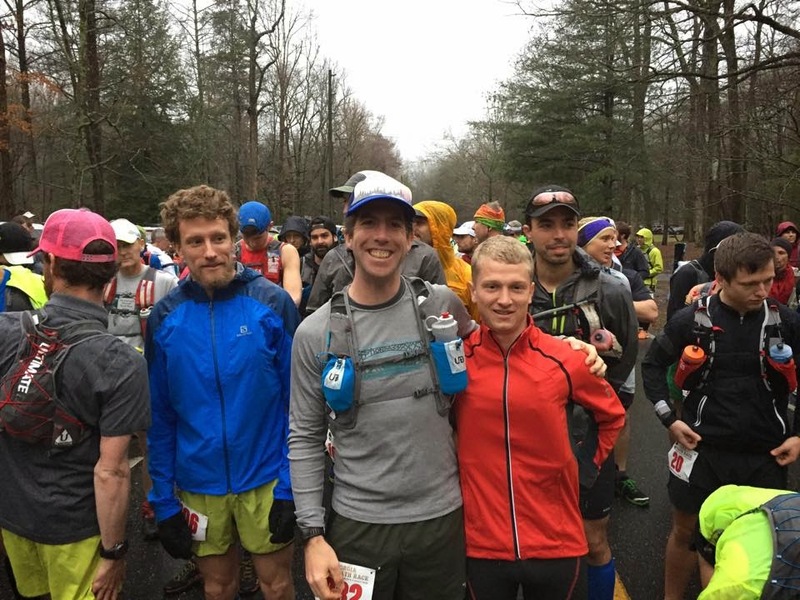 I got to the first crew station, Winding Stair at mile 23, and was feeling pretty good and headed out 7 minutes behind the leader, David Kilgore. The next section was some more rolling gravel road so Michael passed me and I moved into 3rd. I kept cruising wondering if anyone else was going to show up but no one did. At this point I wasn't thinking about much except that I was tired of the gravel roads. Initially there was going to be some more single track early on, but now it wasn't until mile 30 when we hit the trails. Then it was all trail to the finish. The clouds misted as I made my way toward Sapling Gap at mile 30. I jumped on the trails there and focused on making up some time on the guys ahead. I started downhill and my quads didn't feel nearly as fresh as I had hoped but there wasn't a whole lot I could do so I kept rolling. The single track was nice with a couple rocks here and there but nothing too difficult. The trail rolled along climbing and mostly descending as we made our way to Point Bravo. 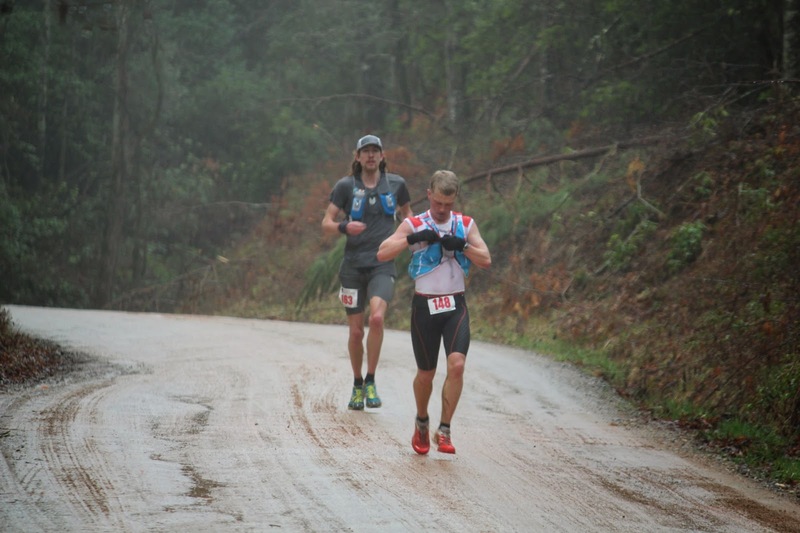 In this section, I caught Michael Owen and stayed a little ways ahead of him till Point Bravo at Mile 43. At this point I was mostly thinking about David Kilgore up ahead and wondering how he was doing. Mom met me at Point Bravo and I headed out quickly onto the Benton MacKaye Trail. This is where the course turns from rolling hills with some long climbs and descents to steep short ups and downs for the rest of the race. I left Point Bravo about a minute ahead of Michael Owen and 4 minutes behind David Kilgore. I can't say I was feeling great at Point Bravo but I was ready to start racing hard. I ran most of what the course brought save for steep climbs where I switched to a fast power hike. At this point the day heated up a little and I was drinking more water than earlier. I was just 5 miles onto the BMT and I passed a couple volunteers who said David was just 2 minutes out. That was good news as I was slowly closing the gap. The bad news was that they also told me it was 3.5 miles to the next aid station and I was low on water. I knew I was going to run out of water before the aid station but didn't worry about that too much because that was a pretty common occurrence for me on my runs. I would just have to drink up at the aid station when I got there. Anyhow, I focused on catching David and a hill or two later I saw him stretching by a tree. He looked up right as I saw him and the race was on. He took off up the next climb and I followed keeping him in sight. David ran hard for about five minutes and I could tell he was working because as we went on he would throw in some hiking on the little climbs. I started to close in and on one climb he started to hike and I kept running. When I caught him, I passed him quickly, expecting him to follow but after the next little hill he was nowhere to be seen. Now I was up front and alone so I had to keep moving and take care of myself. I got to Fish Gap, 15.5 miles to go, and was thirsty. 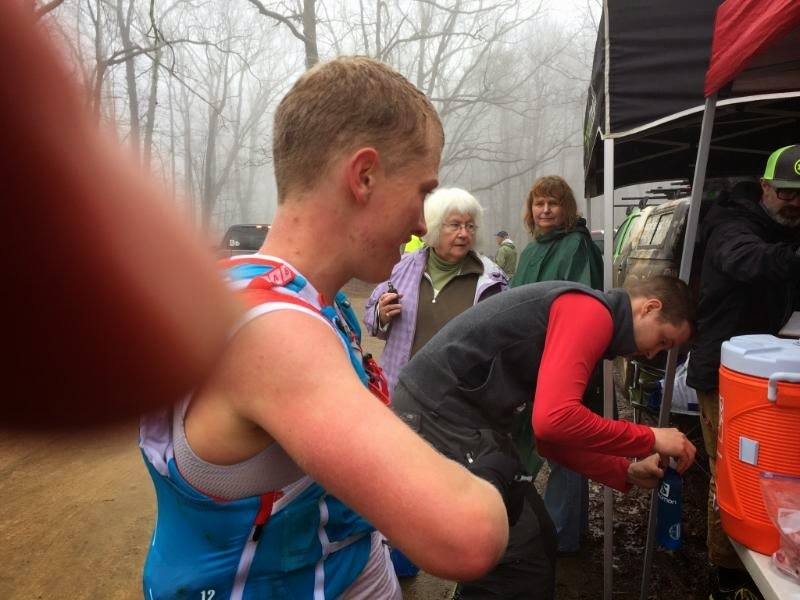 I drank a bottle in the aid station then filled both my bottles and headed out. From here it was about 8 miles to the top of Coosa Bald, then 7 miles to the finish from there. I shuffled up the hills, trying to limit hiking to the steep grades, knowing that I wouldn't be giving up any time when I was running. At Mulky Gap I saw my crew and kept moving along trying to get to the top of Coosa. The whole route to the top of Coosa was a slow grind and felt like it took way longer than it should have. I was hoping to get in some good downhill running off of Coosa, but at this point my quads were shot and I couldn't get going fast enough to make the descent exciting. Finally I got to Wolf Creek with 3.5 miles to go. There was a gradual two mile climb then a downhill finish. I was ready to be done there, so I set my mind to running all of the climb and started grinding away. Finally I hit the downhill and that went by pretty quick. I saw some cabins and shortly after was running down the road to the finish line. When I crossed the finish line, I was glad to be done. The last few miles really turned into a grind but I was happy that I was able to keep moving at a solid pace instead slowing up and doing a lot of hiking. I hung out at the finish line for a few hours once I was done and was happy to see my buddy Cary come in in 13:13. 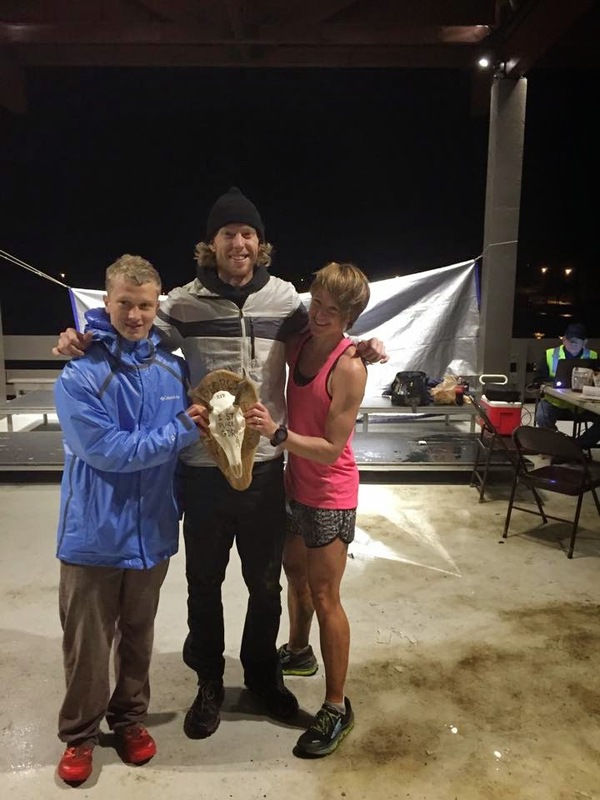 His most ambitious goal was 14 hours so that was one heck of a run. Big congrats to him and everyone else who ran the race. All in all, I was very happy to be done and with my performance. Definitely an improvement from my Orcas Island performance (a very solid run) which is what I was hoping to see and makes me excited for the rest of the year. My goal is always to keep improving so I'm glad I'm moving in the right direction. At this point last year, I already had made some mistakes that I haven't this year. I will probably look back on the year in December and find a way to improve but right now there isn't anything major I would change which makes me very happy. Mainly though, I feel that I'm better prepared than last year in many ways and am excited to see what I can do. Next up is the Gorge Waterfalls 100k in 2 weeks. I'm not sure what I'm going to do between the two races but I'm excited to get racing again on March 28. A big thanks to everyone who helped crew for me throughout the race, especially my mom who everything possible to help me on race day. Also, thanks to all of the volunteers for making the race happen. Finally, thanks to Run Bum for putting on a terrific race and Ian Sharman, director for US Skyrunning, for putting such a great race in this year's Skyrunning circuit.